The hearing of Smt Zakia Ahsan Jafri’s Criminal Revision Application (Nos 205/2014) began amidst a packed courtroom at the Gujarat High Court today. 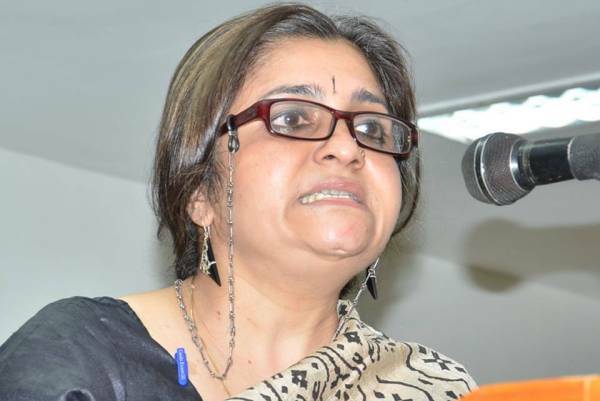 Present were her legal team, advocates Mihir Desai and MM Tirmizi as also Teesta Setalvad of Citizens for Justice and Peace (CJP). On the other side were a battery of lawyers for the SIT and the State of Gujarat. The Court was Justice Sonia Gokhani’s Court. Beginning by explaining that we would be challenging the Order of the Magistrate Ganatra on several grounds, senior counsel Mihir Desai explained that the first and most substantive ground be on merits since it is the contention of the applicant that the Magistrate ignored substantive evidence that was available when he failed to issue process and charge sheet the accused. Secondly, Desai argued that the Magistrate’s Order is faulted and worthy of challenge on the grounds that he erred materially in holding that he did not have the power to Order further Investigation(s) into deliberate and significant lacunae in the SIT’s investigation. (Pages 61 and 377 of the Order of the Magistrate dated 26.12.2013); in this he completely ignored Smt Jafri’s substantive pleas for further investigation on some points; thirdly, by deliberately ignoring substantive evidence and arguments on the elements of wider Conspiracy behind the Violence of 2002 and restricting the scope of the complaint to only what had happened at the Gulberg society, too, the Magistrate had committed both a substantive error as also an error in law; fourthly, we had argued that there are several judgements of the Supreme Court that allow for the Protest petition of Smt Zakia Jafri (dated 15.4.2013) to itself be treated as a Complaint and the Magistrate had erred on dismissing this point Moreover, the Magistrate by simply relying on the final closure report and ignoring the Evidence (Voluminous Statements and Documentary evidence) and Reports of Malhitra dated 12.5.2010, the Magistrate had not done justice to the Complainant. When Justice Gokhani requested to be informed on the broad facts that had led to the filing of the Criminal Complaint dated 8.6.2006 by Smt Zakia Jafri, counsel Desai explained that it arose out of evidence that pointed to the fact that the post 27.2.2002 violence in at least 300 locations of Gujarat was not a spontaneous outpouring of anger after the heinous Gujarat incident though anger may have played some role but was the result of a Conspiracy that had its roots prior to 27.2.2002 but took fruit after the incident at Godhra. That four broad types of offences including Conspiracy, Abetment, Failure of Public Servants to Perform their Duty that include and amount to Criminal Offences, and Hate Speeches to Foment Violence as Part of the Conspiracy were what this case consisted of. Our case, said Desai included laying evidence to show that how a systematic Build-Up before 27.2.2002 was allowed (State Intelligence Bureau Messages) which, even after the heinous tragedy at Godhra had happened, further allowed the brutal 28.2.2002 to May 2002 Violence to systematically erupt. The Bandh call and its support by the ruling dispensation, the Failure to make preventive arrests or appeal for Calm, Failure to Declare Curfew and Call in the Army in time, Failure to Respond to Distress Phone Calls all were part of this Conspiracy. To make this strong case apart from relying on the witnesses like former DGP RB Sreekumar, former senior IPS officer, Rahul Sharma, IPS officer, Sanjiv Bhatt and the Tehelka Sting Operation (that has been validated in the judgement in the Naroda Patiya Case dated 29.12.2012) we are also relying on State Intelligence Bureau Messages, Phone Call Records, Police Control Room Records and Various Statements to the SIT by Various persons that are to be treated as 161 statements. There is also the extremely contentious meeting on the night of 27.2.2002 at the then chief minister’s residence. Haren Pandya, former MOS revenue with independent charge testified as to the illegal instructions given at the meeting to the Concerned Citizens Tribunal in May 2002 (he was killed in March 2003), Justices PB Sawant and Suresh in their statements to the SIT in 2009 re-affirmed what he said, former chief minister Sureshbhai Mehta in his statement to the statement mentions then chief minister’s reaction on getting news of the Godhra incident etc. Desai emphasised that part of the criminal conspiracy in operation was Illegal Instructions periodically top officials (contemporaneously recorded by RB Sreekumar in his Register, 2002), Doctoring of FIRs, Punishing those officers who upheld the law and protected lives and Rewarding those who went along with the Conspiracy. Thereafter, the Court asked for clarifications of law on whether or not the Complaint dated 8.6.2006 should or could be treated as a separate FIR and a close reading of all the Supreme Court Orders on the question followed. More legal issues will be discussed tomorrow. The SIT, an agency appointed in the first instance due a petition by the Citizens for Justice and Peace (CJP) praying for transfer of investigation of major cases to the CBI, has unfortunately, since 2008 adopted a posture of hostility to the Survivors. It has also been contending that the entire matter of the Zakia Jafri case is nothing but a further inquiry into the Gulberg Society massacre. This despite the fact that it was during Malhotra’s investigation into the Zakia Jafri Complaint that, in November 2009, Sanjiv Bhatt in his first statement to the SIT revealed that he was present at the meeting at Gandhinagar at the then chief minister’s residence and illegal instructions were issued. Amicus Curiae Raja Ramachandran had found enough evidence to prosecute the then chief minister.